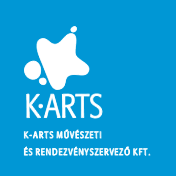 Statue factory | K-ARTS Művészeti és Rendezvényszervező Kft. Due to our industrial background we can undertake to manufacture unique forms, sculptures, functional artwork, furniture, space compositions from different metal materials, under factory conditions. is just as unique as those made of stone or wood. We collaborate with sculptors, artists, industrial artists, interior designers in different projects. We can realize most ideas. We prepare plans (e.g. : component designs, CAD drawings), manufacture the elements of the given artwork, or even produce the whole work of art, and ensure its installation on the site. We have prepared plans and offers for numerous artistic ideas; besides creating public steel statues, as a creative service provider we are also active in the field of applied design.